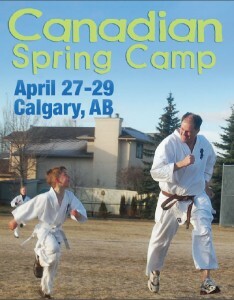 The 2012 Canadian Spring Camp was held from April 27th-29th in Calgary Alberta. Over 65 individuals enjoyed the weekend that was full of training for all ages and levels. Participants spend the entire weekend at the camp where they train, eat and sleep. This year the main instructors for the Camp included Brad Gillespie (Calgary) Nathan Howat (Edmonton) Anthony Evangelista (Vancouver-Kitsilano) and Denis Forget (Calgary). The training for the weekend tends to cover not only the traditional ways of training Kyokushin Karate, but also many “outside the box” methods as well. This year children and adults at the camp also had the opportunity to train with the bo staff, perform advanced Kata and do Handstands!!! A special thank you goes to Sempai Anthony who worked so hard all weekend and shared his great knowledge with us, Sensei Nathan who shared his fighting tactics and strategies with everyone and Sempai Denis who I must say is the master of creating the BEST relays and games ever. Also thank you to Sempai Michelle and her helpers for all the wonderful food and entertainment you provided throughout the weekend, the movie night was another great success (better than the theatre), Great job everyone. 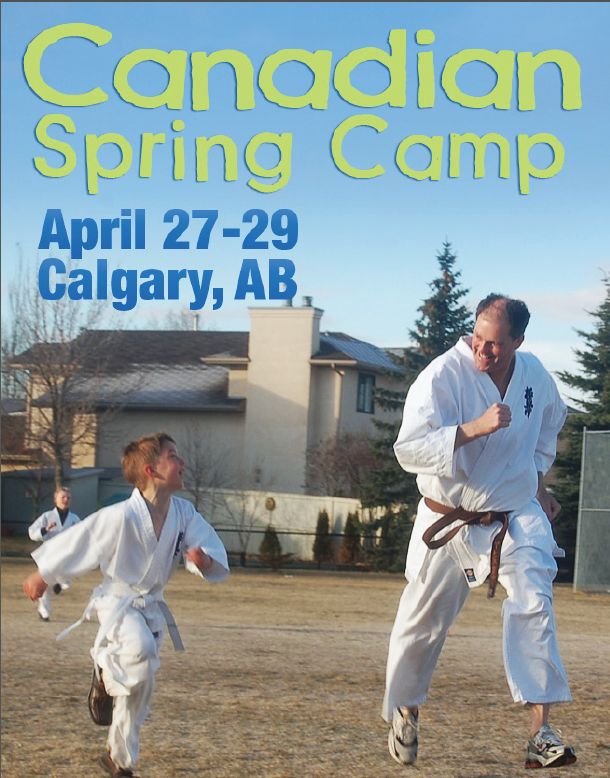 We hope in 2013 you and your family’s will be able to join us in Calgary for what is sure to be another great weekend of training, food, socializing and just plain fun. This entry was posted	on Thursday, May 3rd, 2012 at 9:31 pm	and is filed under Uncategorized. You can follow any responses to this entry through the RSS 2.0 feed. Both comments and pings are currently closed.